Years ago, when fishing the Blackwater at Careysville, I stayed in that idyllic village in a delightful Georgian house which had a small library. There I came across Sir Herbert Maxwell’s Memories of the Months, perhaps his most popular work. These volumes ran to seven series (1897 to 1922) of which the first three reached revised editions (1931 to 32). All in all, there were seven books with 464 articles, mostly personal observations on a particular flower, tree, fishing trip or a place the author has visited that has a special historical connotation or curious name, the origin of which he unravels. His wide canvas encompasses observations on history and various individuals including William Scrope, perhaps Britain’s most famous author on angling and stalking in Scotland. One contemporary reviewer of these volumes stated that to read them was to ‘refresh the mind with recollections of the purest delight that woodland, garden and river have to offer at the same time to marvel at the width of knowledge and acuteness of observation in the writing of them’. Sir Herbert was said to have exhibited on each page that unique facility of expression and verbal illustration of which he had become a truly recognised and accepted master. The diverse essays in Memories of the Months illustrate beautifully the fresh features of nature, leaving one awed by the keenness and perspicacity of the observer’s eye. When they were first issued, virtually all reviewers stated how well-informed the author was and commented on how delightful his highly personal essays were. Having read them, one sees nature in all her moods and the easy relaxed style has an engaging quality that brings enormous appeal to the subject matter of flowers, birds, animals, butterflies, spiders and fish. One wonders why with modern editing such delightful gems should not be re-issued. Given Maxwell’s prodigious literary output, it is something of an enigma that he was forty-two years of age before he wrote his first book, Studies in the Topography of Galloway, 1887 (re-issued in 2001). His interest in archaeology had been developed by his study of the crannogs which had been exposed when his father drained the Loch of Dowalton on the Monreith Estate. Books on angling written or edited by Maxwell are becoming highly sought-after. These include Salmon and Sea Trout: How to Propagate, Preserve and Catch them in British Waters, 1898, reissued by the Flyfishers’ Library in 2000; British Fresh-Water Fishes (1904); The Story of the Tweed (1905); Chronicles of the Houghton Fishing Club (1908), and Fishing at Home and Abroad (1914). Several appeared only in limited editions: Fishing at Home and Abroad, which he edited and contributed to, was published in a limited edition of 750 and a decent copy now costs in the region of £450, and Chronicles of the Houghton Fishing Club, limited to 350 copies, is heading in the same direction. 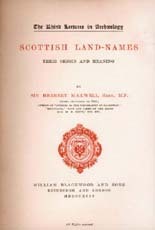 The Story of the Tweed, 1905, limited to 375 copies sells at around £850; Maxwell dedicated this work to his dearest friend, Andrew Lang, who in turn dedicated his History of Scotland to him. 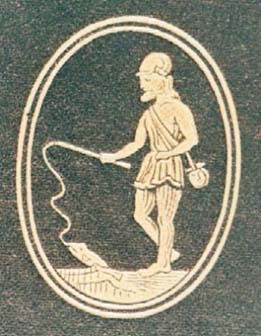 After Lang’s death, his widow sent Sir Herbert one of his cherished possessions, a small sixteenth-century intaglio: this intaglio is embossed on the cover of the first edition of Lang’s Angling Sketches. Sir Herbert was very active as an editor. He co-edited with F.G. Aflalo Salmon and Sea Trout, which appeared in the Angler’s Library; however, his influence on the series was not particularly pronounced. Similarly, he seems to have been more in sympathy with some volumes than others in the Sportsman’s Library published by Arnold in the 1890s. Editions of Stoddart’s The Angler’s Companion and Francis’s A Book on Angling issued by Herbert Jenkins in the 1920s contain interesting introductory material by him. 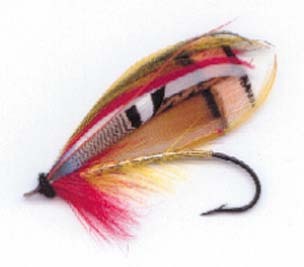 So, too, has the 1913 deluxe edition of The Flyfisher’s Etymology (two volumes, complete with artificial flies), for which he researched thoroughly, as he discloses in his thirteen-page introduction. Both of these sets are now rare. I have before me a modern catalogue listing the latter work, deluxe edition, limited to 250 copies at £3500. In the same catalogue Fishing at Home and Abroad is £450, and the limited edition of Salmon and Sea Trout, 130 copies, £300. Sir Herbert was an active contributor to many journals, particularly the Scottish Naturalist, the Scottish Forestry Journal, Gardeners’ Chronicle, The New Flora and Silva. He wrote forewords for many books, including Major R.A. Chrystal’s Angling Theories and Methods, 1927, and Thomas Stoddart’s The Anglers’ Companion to the Rivers and Lochs of Scotland, 1923. He contributed on a wide rage of subjects to many books. These include two chapters on sporting events in Rainy Days in a Library, 1896; delightful essays on ‘salmon flies’ and ‘trouting tattle’ for Post Meridiana: Afternoon Essays, 1895; ‘The Possibilities of Scottish Angling’ in From a Northern Window (1911); and ‘Scottish Sports’ covering deer-stalking, fishing and falconry in Scottish History and Life (1902). There are many reasons why this distinguished man deserves to be considered the Gilbert White of Galloway, a place he loved dearly and whose inhabitants loved him in return. It has often been said that Maxwell was one of the most courteous of men and his intimate knowledge of languages, including Gaelic, allowed him not only to speak in educated English but also in braid Scots. His respect for, and kindness to, ghillies and those who worked with him was legendary. Maxwell had a prodigious memory and could quote reams of old ballads and poems and, of course, was well-versed in the classics. I have mentioned the admiration he had for Andrew Lang, which was reciprocated. Robert Louis Stevenson – who had in common both a friendship with Lang and an interest in angling – wrote to Sir Herbert from Samoa only days before his death stating that he ‘could think of nothing more romantic than living in a cottage outside your own park walls’. Despite being held in generally high esteem, Maxwell was at the receiving end of a verbal salvo from C.M. Grieve (Hugh MacDiarmid), which was published in the journal, Scottish Studies. I wonder whether MacDiarmid’s eloquent barbs were motivated more for political and psychological reasons than those he claimed. It so happened that it was Maxwell’s birthday not long after this vitriolic attack had appeared in print; a letter in The Times offering birthday greetings, made the pointed observation that in Maxwell was a man of such generous spirit that he had called for better treatment of the common water-rat, so often unjustly persecuted by ‘thoughtless people’. Maxwell’s education began within his family, his father teaching him Classics. His sister fostered his knowledge of horticulture by encouraging him to identify the flowers from Withering’s Flora. His early schooling at Whitnash Rectory in Leamington was very happy; in his four years there he was considered an excellent scholar and took several prizes. However, at Eton his academic career was not distinguished. Despite his ‘insensate indolence’ he clearly amassed much miscellaneous information there, gaining a grounding in architecture, heraldry and the natural sciences. Nor did he do well at Oxford University, where one of his tutors was the Reverend Charles Ludwig Dodgson (Lewis Carroll) whom he evidently disliked, describing him as ‘extremely dry and repellent’. After leaving university he returned to the family estate at Monreith, lived the life of a country squire and acquired an intimate acquaintance with all phases of country life in Galloway. Perhaps because he belonged to the Catholic Apostolic Church, which believed that the second advent was imminent, he felt no great pressure to make the estate pay. In 1876, a year before his father’s death and his accession to the baronetcy, he founded the Ayrshire and Galloway Archaeological Association; his great interest in the area was evidenced in the subject of his first published book, Studies in the Topography of Galloway. However, it was only after his father’s death and his accession to the baronetcy that he became active on the national and international stage. 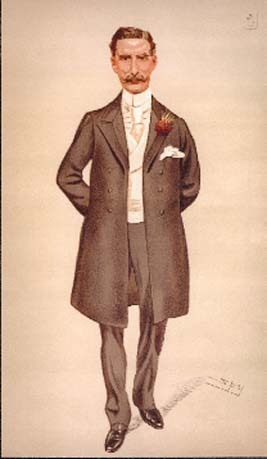 In 1878 he became Unionist MP for Galloway and from 1886 to 1892 he was Lord of the Treasury. During a long parliamentary career he was chair of the Royal Commission on Tuberculosis, the Royal Commission on Scottish Historical Monuments and the Commission to Investigate the Plague of Field Mice or Voles, to mention only a few such appointments. He advised committees dealing with country matters such as the purification of rivers, the open season for fishing for salmon and trout and the protection of wild birds. He was chairman of the National Library of Scotland from 1928 to 1935. As well as shouldering a demanding range of public commitments, he devoted considerable energy and discipline to his writing; at Monreith he was always working at his desk on the current book or article by 6am. His output was phenomenal: between 1891 and 1937 he notched up seventy contributions to the Scottish Naturalist alone. When Maxwell died in 1937 at the age of ninety-two and was taken to the little kirk of Kirkmaiden to be buried with his ancestors, the funeral procession extended for miles – an indication of the respect he won, and held.